The Sime Luxor is constructed from quality materials by the Sime Irrigation Company located in Northern Italy who have been building this unique sprinkler style for years. The Luxor is a great alternative to impact style sprinklers when smooth and gentle performance is desired with no "impact vibration." 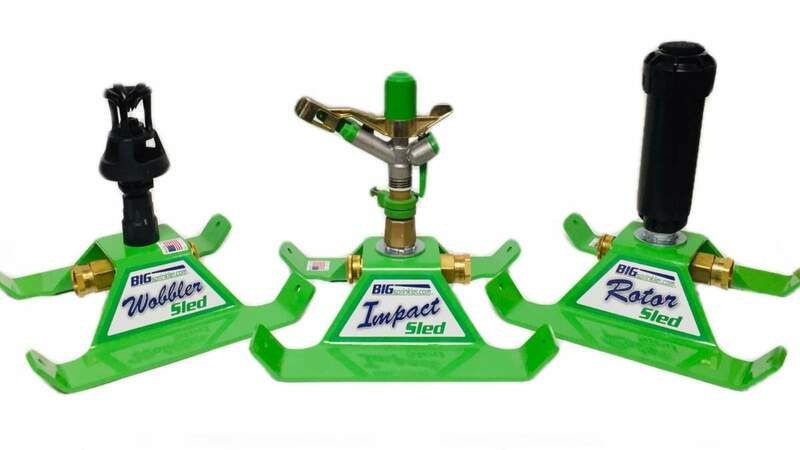 This sprinkler has a 1.5 inch female pipe thread connection, adjustable jet stream breaker, and allows coverages up to 250 feet in diameter with flow ranges from 34 to 128 gallons per minute! The other unique feature of the Luxor is the nylon composite materials of construction which make this sprinkler a great option when corrosive characteristics of the liquid exist. These sprinklers are used in certain mining, municipal, and lagoon applications as an alternative to aluminum or brass sprinklers.